The new self-titled all-English CD by B’z is a five song pleasure-chest of fresh and fun music from this dynamic duo from Japan and is exclusively available on iTunes. Chances are, if you’re reading this review in North America, you’ve either never heard of B’z or have only recently been turned on to them. B’z formed in 1988 and is the largest selling Japan based band in history, selling over 80 million albums in their twenty-four year career in Japan alone. Their multi-genre flavor of rock and roll is truly both innovational as well as inspirational in their fresh approach to music. Don’t let the brevity of the song list from the album fool you. This disc is a powerhouse of really great music. Blasting out of the CD missile silo is the very new wavy, Love Bomb. The song was originally titled, Ai no Bakudan, and was a number one hit in Japan for B’z in 2005. Fun, exciting and full of fresh, new energy, this song was the perfect choice to lead the listener through the rest of the album. The second track is Splash. Tak Matsumoto’s guitar work is phenomenal on this tune. My ears perked up immediately on the first few bars of this song. I immediately had images of both Joe Perry and Eric Clapton as I listened to it. In fact, I won’t be at all surprised to hear that, sometime in the future, that Steve Tyler joins B’z on stage to sing this song because, I swear, I can almost hear Tyler singing on this tune. The same goes for the very Aerosmith-esque, Juice. Koshi Inaba’s vocal work – as well as Matsumoto’s guitar prowess – are both top shelf. This tune earns countless slaps of the repeat button, you can be sure of that. Ultra Soul is a beautifully complex rocker worthy of placement in a well-produced movie. The vocals and musicianship on this song is, again, amazing. Lyrically intriguing and beautifully executed, this song is, again, amazing. Finally, there’s Into Free –Dangan-. This song was tapped for inclusion in the top selling video game, Dragon’s Dogma, and has already sold over a million units worldwide. Again, full of energy, this song will delightfully exhaust the listener with each and every listen. 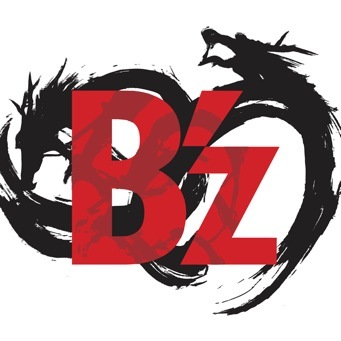 Be sure and download your copy of B’z and find out what the nation of Japan already knows: That this band is worth buying into because they’re fresh, they’re strong and they’re going to be around for a very long time.